Identity Devices Sweden AB (Identity Devices) announced an innovative new Biometric Privacy Platform for the Aadhaar ecosystem to enable greater data security, privacy, consent, and confidentiality. Biometric Privacy Platform (BPP) consists of authentication hardware and software for the Aadhaar ecosystem, preserving convenience while increasing personal privacy and data security and putting the resident in charge of the use of their Aadhaar data including picture, name, address, mobile number and more. 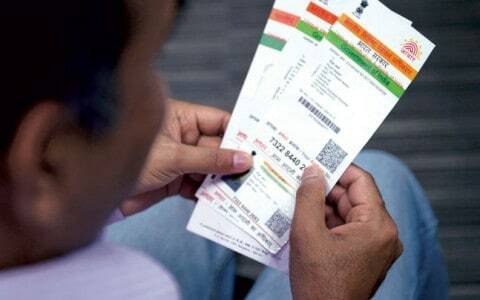 Aadhaar is the world’s largest biometric Digital Identity program with more than 90 percent of Indians linking Aadhaar to most government and non-governmental services such as those related to taxation, cooking gas subsidy, banking, passports, and so on. Biometric Privacy Platform increases ease of convenience, personal privacy and data security by putting residents in charge of how their Aadhaar data is used. Biometric Privacy Platform adds a privacy and consumer-choice layer on top of Aadhaar online and offline authentication modes. Devices that have integrated BPP and its authentication modalities enable user interaction to make dynamic choices at the time of each authentication event. BPP’s QR Code offline authentication capability is fully compliant with the Aadhaar act, current Supreme Court rulings, UIDAI requirements and other government policies. The online authentication capability and biometric capture capabilities will also be fully compliant with the UIDAI certification requirements for multi-modal biometric authentication (Face, Finger and IRIS). Identity Devices recently partnered with world-leading biometrics company Fingerprint Cards (Fingerprints) partnership to accelerate biometric adoption in the global Digital Identity, Financial Technology (FinTech), Internet of Things (IoT) and other innovative, fast-growing vertical markets. Under the partnership agreement, Identity Devices will include fingerprint and iris biometric technology from Fingerprints in new products and pre-certified integration kits that make it easy for device makers to add frictionless multi-modal biometric experiences and enable local authentication and access to global and national authentication ecosystems.